Fundraising remains open until Friday, September 28, 2018! Susan G. Komen Chicago 2nd Annual Ride for the Cure® was held on Sunday, September 16 starting at Dawes Park in Evanston, IL. 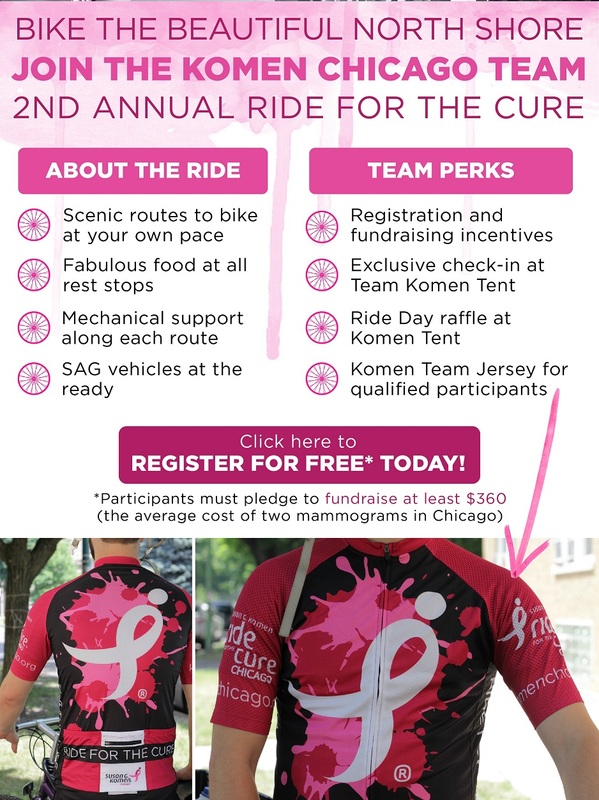 The Ride for the Cure was part of the 34th Annual North Shore Century in association with Evanston Bicycle Club. By donating to our Komen Team you are helping us raise significant funds and awareness for the breast cancer movement, celebrate breast cancer survivorship and honor those who have lost their battle with the disease. The Ride is designed to make a Big Bold Impact! Our 2018 goal is to raise over $33,000 in support of the fight against breast cancer!